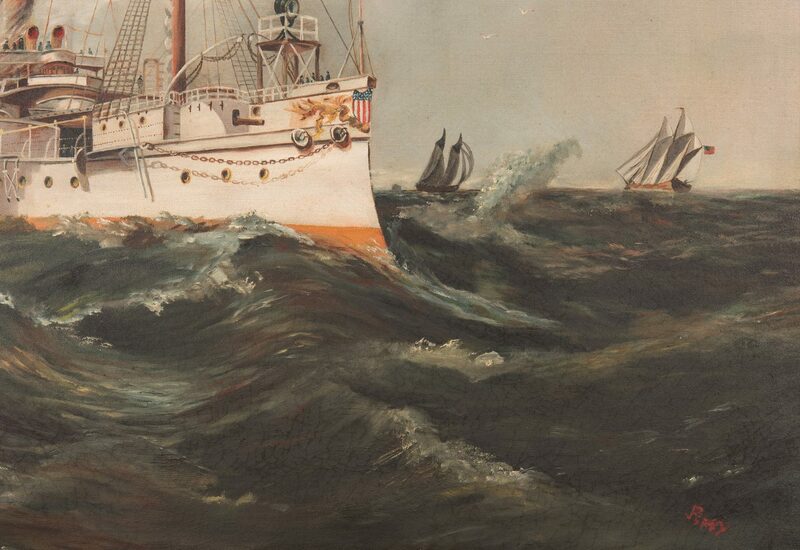 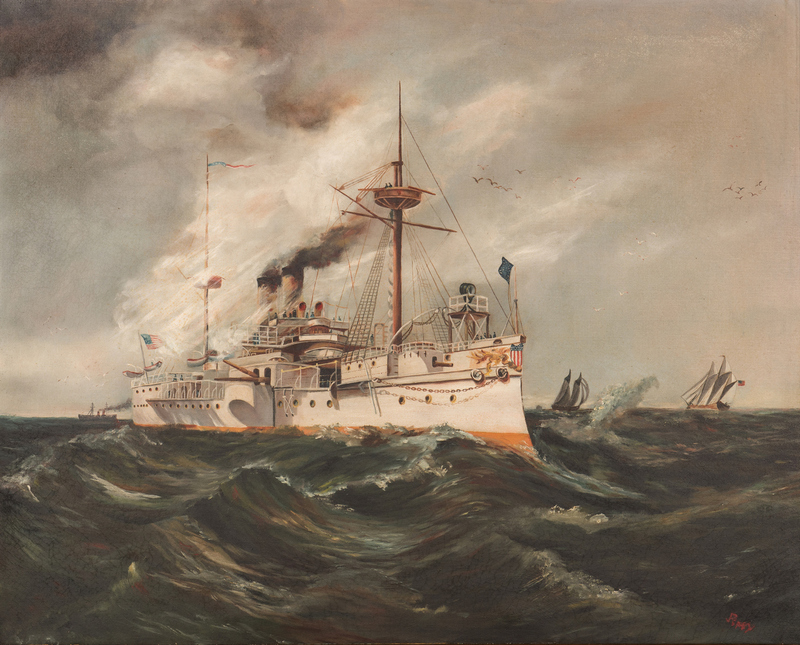 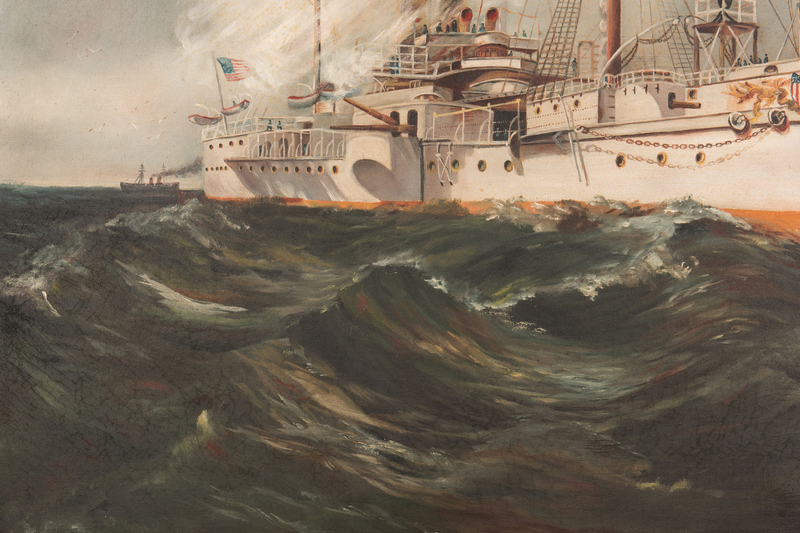 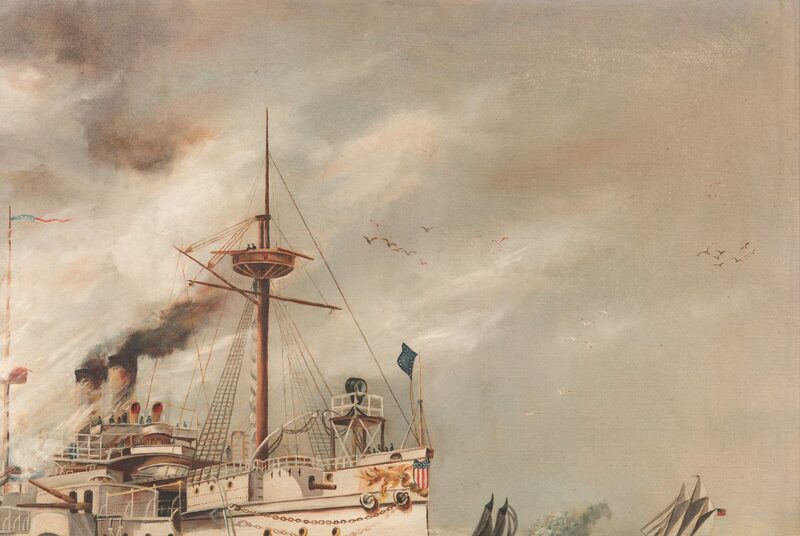 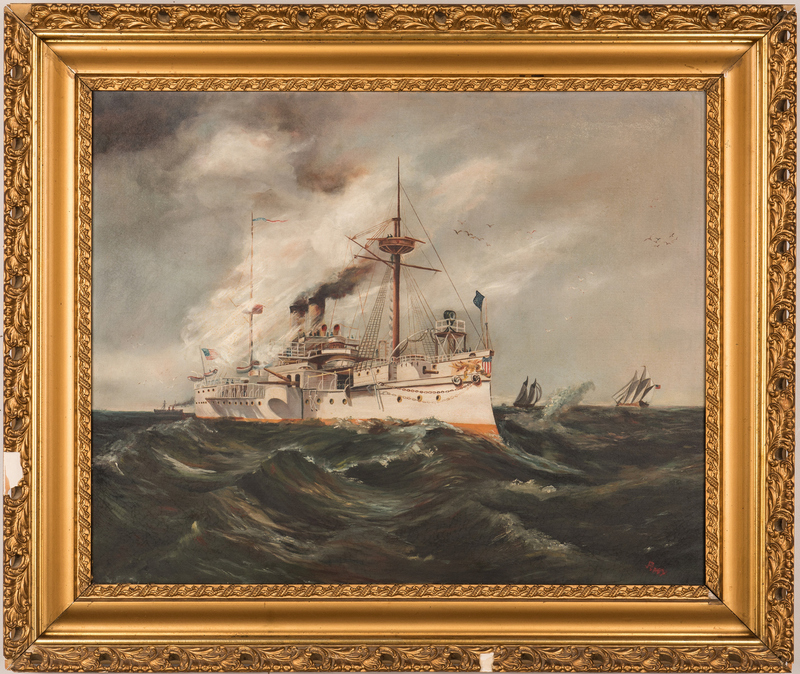 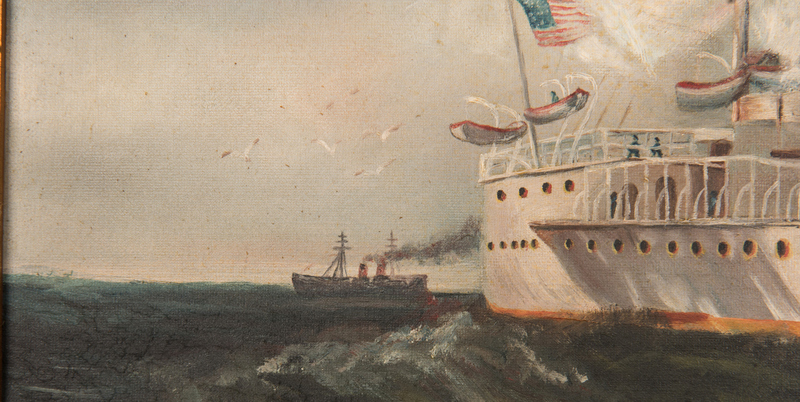 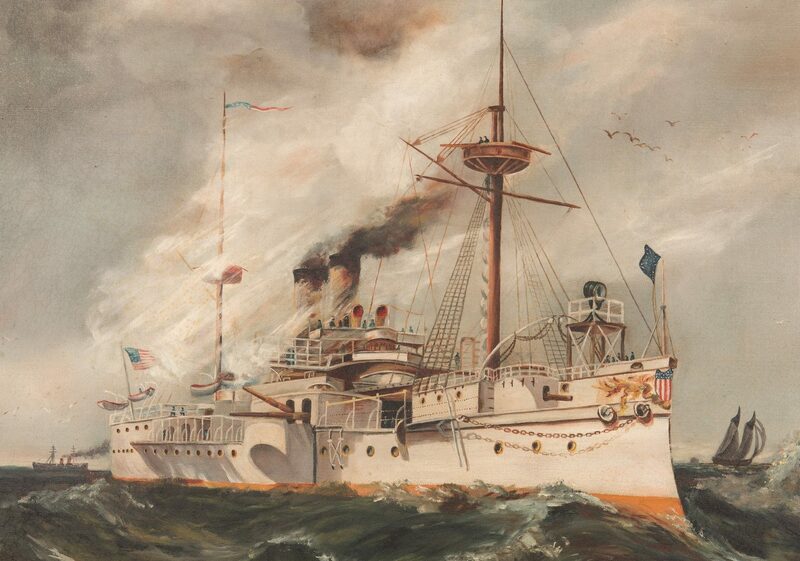 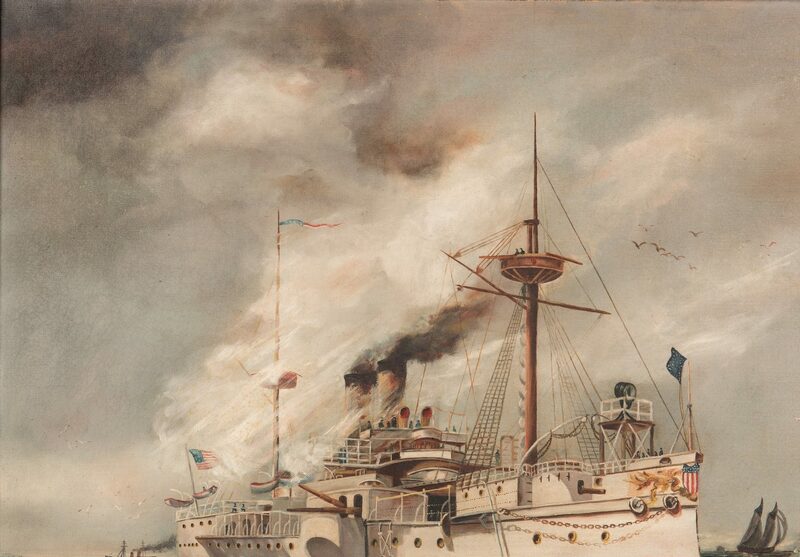 Early 20th century American maritime oil on canvas painting depicting a Great White Fleet naval ship, USS Maine, at sea foreground with other sailing ships in the background. 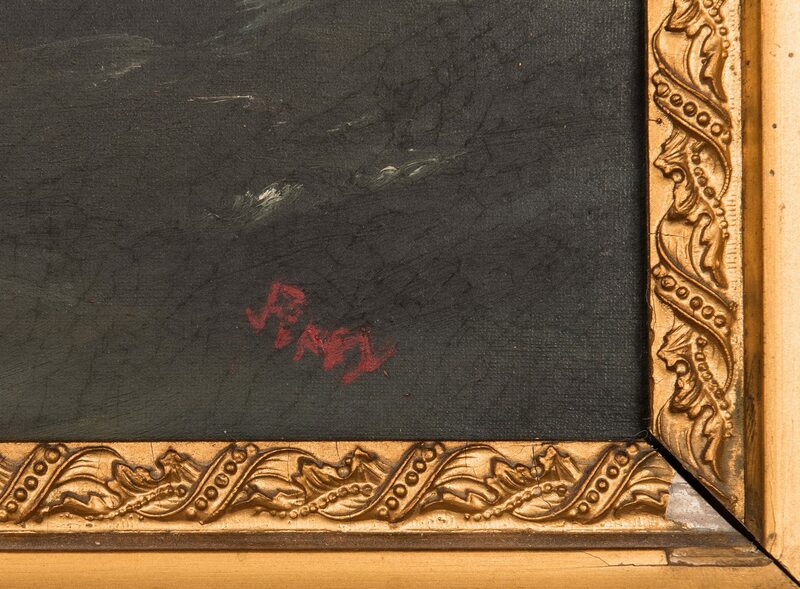 Signed "Perry" lower right. 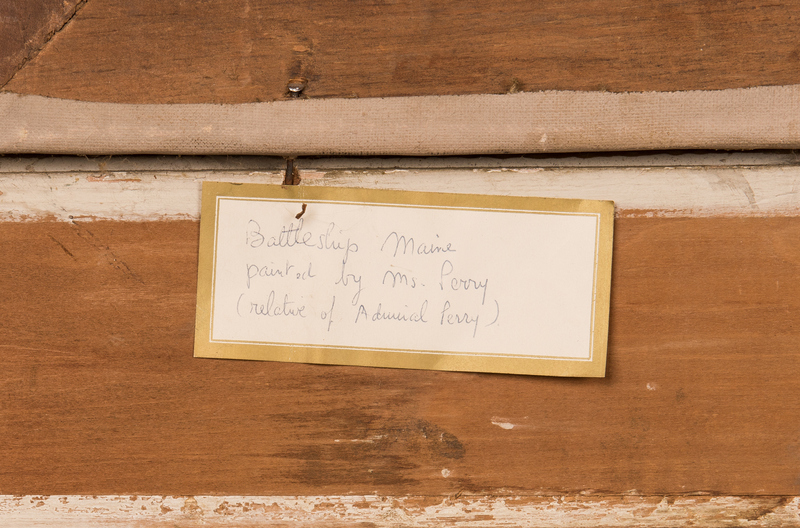 Label stating that the artist was a relative of Admiral Perry, en verso. 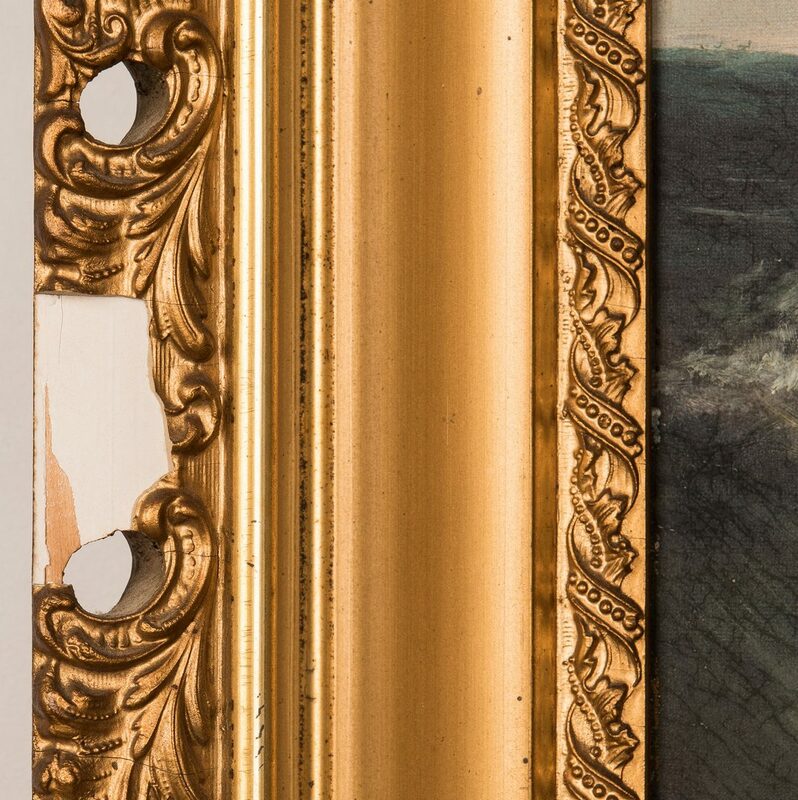 Housed in an early 20th century carved and pierced gilt frame with gilt carved liner. Sight – 23 5/8" H x 29 1/4" W. Framed – 31 3/4" H x 37 1/8" W. Provenance: Estate of Martha Lyman, Dayton, TN. 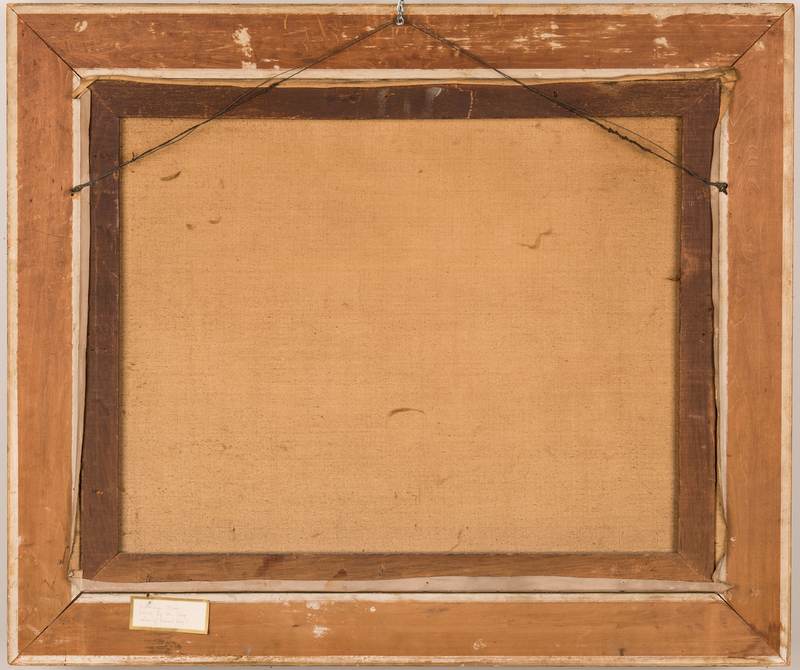 CONDITION: Scattered abrasions to canvas, upper right and upper left margins. 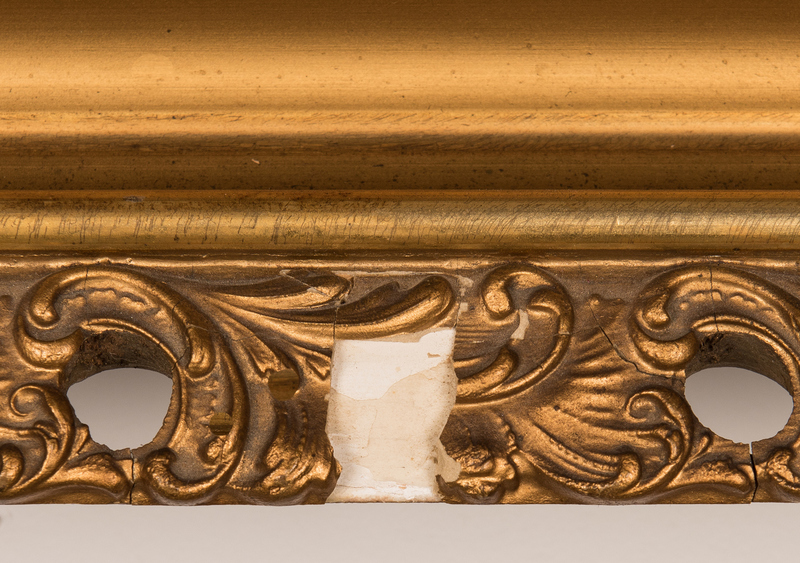 Scattered losses to frame, most notably lower left edge and lower edge.